Dave Caruso’s follow up to 2014’s Cardboard Vegas Roundabout is here. Perhaps that year’s most interesting title for an album, the music within was pretty damn good, too. With his new Buddha Pesto Manifesto, he has managed to better both. In case you haven’t heard his previous work, Caruso has an engaging singing style and a penchant for pleasing melodies. 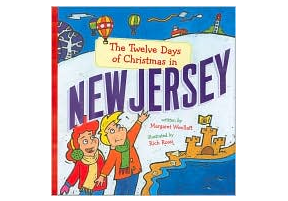 That is immediately evident from the get-go as he goes into storytelling mode with “Boomer, Jenna & Lennie”. ‘Hanging With You” is a positively charming bit of Gerry & The Pacemakers/early Beatles era pop. If you like the 60’s easy listening sound, then you’ll really enjoy “Getting Involved”. It has an infectious melody that takes you on a Sunday morning ride through the hills of your youth. I really enjoyed this one. While there are more than a few very worthy tracks here, the standout single for me is “The Girl Who Checks All The Boxes”. A whopping hook from start to finish, “Check All The Boxes” is not only catchy has Hell, it’s lyrically brilliant in its simplicity. It’s one of those songs that you hear and say to yourself Damn, I wish I wrote that. 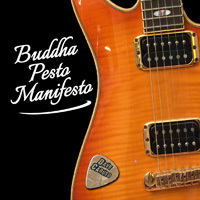 Buddha Pesto Manifesto is available directly from Dave through his website as well as at CD Baby, Amazon and iTunes. GET IT.